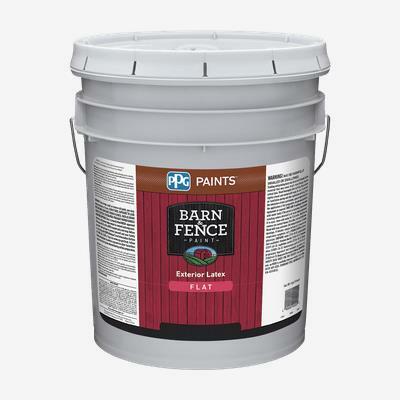 BARN & FENCE Exterior Latex is a good quality, economical paint recommended for general use on exterior wood surfaces. This product has good hiding power and offers the convenience of soap and water clean-up. Available in a ready-mix black, red, and white, this paint is designed for new or previously painted barns, sheds, silos, outbuildings, fences, and garages.